Glenn Duker was born in Melbourne, Victoria where he attended Mentone Grammar School and excelled in debating, sport and academia. From a young age, Glenn understood that there was much to learn and achieve, which is why he applied himself diligently to his studies. He also actively participated in inter-house sporting events and inter-school tournaments, and was elected captain of the 16A basketball team. He is proud of his involvement in sport, claiming “I didn’t do too badly for a short guy, compared to the giants you would normally encounter”. Glenn Duker was also the captain of the debating team, where he nurtured a passion for intellectual engagement which later led to his career in law. Back then, Mentone Grammar School was an all-boys school. It was a disciplined environment where the boys learned about hard work, sportsmanship and the value of good friends. The famous cricketer, Shane Warne, also attended the school during Glenn’s tenure. Not only did Shane go on to become one of Australia’s best cricketers, he also became one of the best cricketers on an international scale. Glenn Duker then attended the University of Melbourne, where he undertook the Arts/Law Bachelors’ program. He completed a politics major that he found interesting, but knew that politics was not for him. He believed that “the system is imperfect” and decided to find his true calling in life. Glenn then placed his focus on studying law. Like many young people at their initial stages of university study, Glenn wasn’t sure if law was going to be for him. Over the course of the five years that his law degree required, he realised that it was a sound career choice, as well as a deeply interesting one where he could make a positive impact on people’s lives. Glenn Duker graduated from the Arts/Law program in 2004 and entered the legal profession subsequently. He began his career with Maddock Lonie Chisholm (now Maddocks) where he gained valuable experience in the litigation, property, commercial and local government departments. Eventually, Glenn founded the firm Duker & Associates, where he became active in commercial litigation and flourished in the late 1990s. He ran many trade mark cases during this time, particularly on behalf of the well-known and successful Boxacise brand. Later on, Glenn Duker moved to Queensland (Gold Coast) where he founded Settle It Legal. The firm had a focus on mediation rather than litigation for its own sake, recognising this shift in the way disputes can be handled. Glenn moved back to Melbourne thereafter and founded PCL Lawyers, of which he became principal. PCL Lawyers deal in commercial litigation, family law, property law and commercial law. 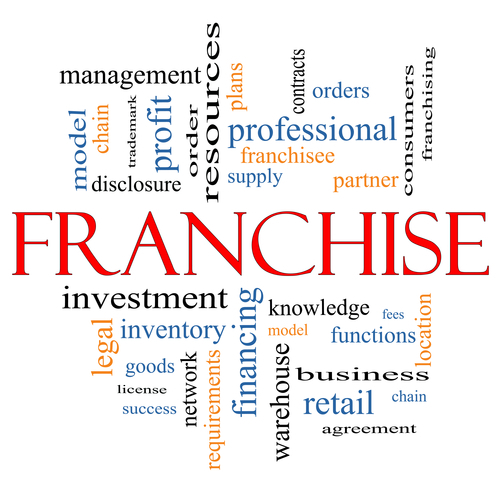 Glenn Duker’s particular interests lie in Franchise Legation and Commercial Leasing, including litigation. He represented the Applicant in a case that assisted in further defining the modern understanding of a Retail Lease in Global Tiger Logistics Pty Limited, the Chapel Street Trust (a VCAT case). In this case, a logistics business was held to be conducting a business from retail premises as a freight forwarding business. Glenn also runs various commercial litigation matters and provides legal advice to businesses. Over the span of his approximately 20 year legal career, Glenn has practiced in family law, commercial law, adverse possession of land, compulsory acquisition of land, insolvency, franchising (especially franchise disputes) and breach of contract matters. These days, he is regarded as a senior lawyer who works hard for his clients, and is also a genuinely nice bloke. Glenn is always keen to help people, based on his Christian values. Glenn Duker has an interest in social issues as well, which led to the launch of lawbiznews.com.au. Integrating legal matters with matters of social value, Glenn demonstrates his legal knowledge in relation to important arguments around social issues. For instance, he believes there is currently a severe lack of legal aid, discussing this in depth within his piece ‘Legal Aid – There is Never Enough to Go Round’. Glenn asserts that it is important for the less fortunate to have access to basic legal aid, especially in relation to family law matters. Glenn has also written another fascinating piece, entitled ‘Vicroads Has Taken Away My Business’. Within it, he talks about how compensation is available to an aggrieved party when Vicroads acquires land that actually affects a business as well. As an example, a shop located next to a railway line is acquired when that railway line is widened. The shop owner may only have a leasehold interest (rather than a freehold interest) but because the business will have to move, that business owner will have the right to be compensated for the costs of moving, as well as for the time left on the lease. Furthermore, they should be compensated for the profit that they would have gained from operating at that location. Another topic Glenn Duker has spoken out about is ‘Two Things You Must Do Before Signing a Commercial Lease’. This discusses a few things that tenants should think about before entering into the lease, so as to avoid pitfalls that may cost a lot of money later. Glenn has advised many lessees over the years, not only about new leases but also about disputes with landlords. Glenn always works closely with clients to achieve the best solutions for their cases. Glenn’s keen interest in commercial lease law has seen him advise everyone from large shopping centers to small stores, as well as across a wide variety of industries. He has attended countless mediations on behalf of clients at the Small Business Commissioner, and represented clients at VCAT in everything from lease default leaking roves to urgent injunction applications. He is regarded as a clear thinker with a strong work ethic by clients and peers alike. He also has various podcasts hosted on iTunes, such as ‘Two Things You Must do Before Signing a Commercial Lease’, among detailed comment about ‘Compulsory Acquisition of Land’. In these podcasts, Glenn expertly displays his broad and practical working knowledge of the law. Glenn Duker is an exceptional lawyer who genuinely cares for each client that he represents. He is also a passionate and dependable contributor who works hard to look after his clients.